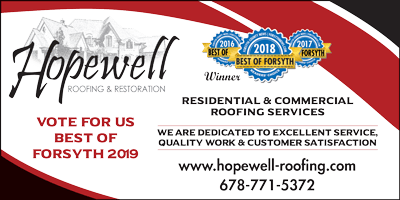 Hopewell Roofing & Restoration has been nominated for the Best of Forsyth 2019. This is an honor since any Forsyth county resident (our Forsyth County customers) can nominate their favorite business from 200+ different categories. Not only that, but it is our customers that place votes to help us win. 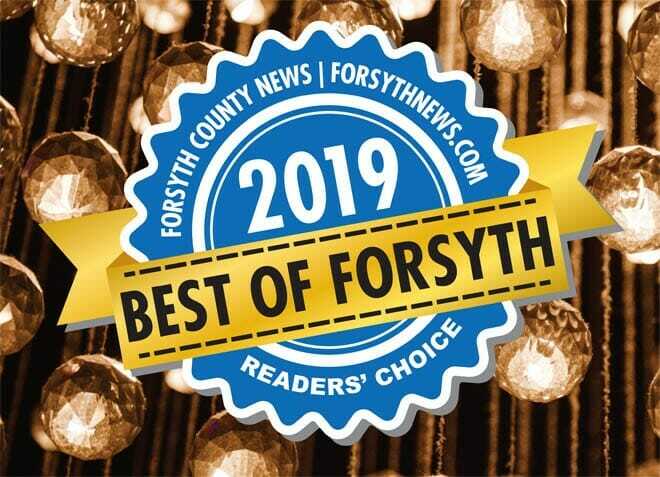 Voting for Best of Forsyth 2019 runs from October 1 through October, 31 2018. There are certain things you expect when you are seeking the best roofing company. And at Hopewell Roofing & Restoration, we are confident we will exceed your expectations every time. How do we do it? By placing high priorities on exceptional, attentive customer service, the highest quality materials, and roofing expertise that is second to none. Please vote for Hopewell Roofing once per day between 10/1/19 and 10/31/19 to help us win our 4th consecutive year as Forsyth County’s best roofing contractor!!! Thank you to our customers and Forsyth count residents for your support! Link to use for VOTE NOW.